Arlo Technologies has announced its new flagship wire-free security camera system, Arlo Ultra. Arlo Ultra features 4K Ultra HD resolution with high dynamic range, colour night vision and advanced image processing. The camera also includes an integrated spotlight. Designed with dual-microphones, Arlo Ultra delivers two-way audio with advanced noise cancellation that can notably minimise background noise and accentuate foreground audio, such as voices. “Arlo Ultra pushes the boundaries of image and audio quality with an incredibly compact form factor that’s true to Arlo’s heritage of simple setup and ease-of-use, marking a massive leap forward in surveillance for the do-it-yourself smart home security market,” said Brad Little, Vice President and Managing Director, Arlo Technologies, APAC. “Our new flagship wire-free camera represents major advancements in video, audio, software, AI, and computer vision capabilities. 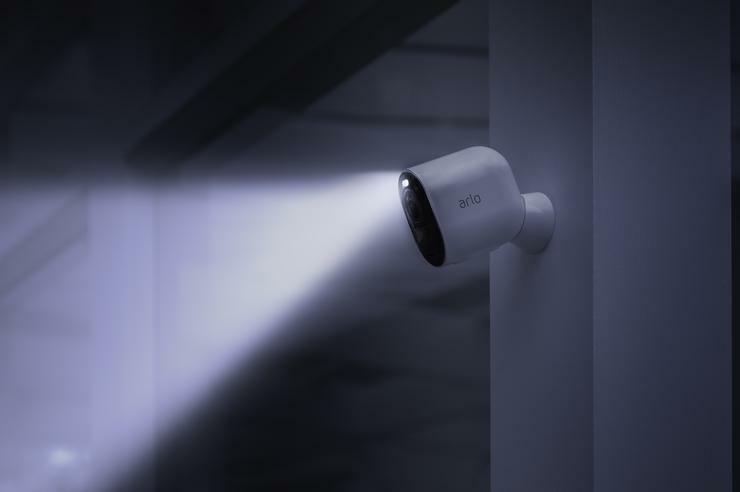 Arlo Ultra is a complete solution for users who desire the best possible protection for their home or business, as well as the most ideal experience for connecting remotely with loved ones for maximum peace of mind,” added Little. Arlo Ultra also includes a one-year subscription to Arlo Smart Premier, powered by Arlo’s AI and computer vision technologies. The Arlo Ultra 4K HDR wire-free security camera system is set to be available in the first quarter of 2019. No Australian pricing is yet available. For more information, visit arlo.com/au.